We’ve all heard the saying: “time is money”. What if our traditional understanding of what that saying meant was based on false assumptions? Most of the core beliefs listed can be challenged further and debated as to whether they are widely held beliefs or not. The point is these beliefs are now being seriously challenged with the unfolding of global events over the past few years. What is clear is there are a number of unhappy, discontented and disillusioned people out there. Millions have lost their jobs, their savings and their comfort of knowing what their futures will be like. The instability of not knowing and being constantly hit with a barrage of bad news has led to civil unrest as seen around the globe. Whether it’s the riots in Greece, UK or the Middle East or the Occupy Wall Street movement the message is fairly consistent amongst protestors. The theme of their messages, when you break it down to its elements, is all about a cry for change and dissatisfaction with their living conditions. This anger is often directed at government and industry. What are the protestors trying to communicate? To answer this question you have to look beyond the messages on the placards and the cinders of the burnt-out cars and destroyed properties. Maybe what the protestors are ultimately trying to communicate is their fear that their not sure what to believe anymore. One of the key issues that needs to be addressed from all of this turmoil is how do we give people hope in the future? How do we give them something they can believe that will not be overturned in a few years’ time? How do we give people control of their destinies? How do we give people access to basic necessities such as food, shelter and clothing? The events over the past few years have created a destabilised, distrustful and disillusioned population all over the world. Millions of people only know the word “austerity” and have no idea what “prosperity” will look like in the future. I don’t have all the answers to these very complicated issues. However, I have learnt to believe in one ironclad truism: “time is the most precious commodity”. Just think about this concept for a moment. Time is the only finite commodity we all have. It can be traded for paper based currency to increase traditional wealth that is based on material objects. Time, as you get older, becomes scarce and therefore should become more valuable since it is finite and one day we all will run out of this commodity. So time is an appreciating commodity that can be traded: my time for your $. What is also unique about time is that it is truly a universal currency that has equal value across the globe regardless of your country’s GDP or currency value. This old notion, time is money, when re-examined may better serve us as “money is time”. Maybe the new currency of the future is in fact time itself and not paper based currency or material goods. Changing the world order based on the currency of time is a tall order but we need to start somewhere. I hope this blog gets you thinking. The first decade of the 21st century began with a theme that has survived the last 10 years. The theme was best captured with the “millennium bug”. For those who have forgotten let me remind you. In computer program design, the practice of representing the year with two digits becomes problematic with logical error(s) arising upon “rollover” from x99 to x00. Companies and organizations worldwide checked, fixed, and upgraded their computer systems. The “millennium bug” became one of the biggest beat-ups, ensuring IT staff were well employed and setting the theme for the decade: The day of reckoning will be coming and you will need to prepare and fix it or face the consequences. To me this sums up the theme for the first decade of the 21st century. It has been a difficult decade. There is no mistake about it but it has offered good endings that should put us in a good stead for the next 10 years. Let’s have a look at some of the highlights of the last decade. In 2000 G.W. Bush was elected as president of the United States and the Sydney Olympics took place. No guessing which event was the favourite! In 2001 the world changed when two planes crashed in the World Trade Centres in NY bringing the buildings crashing down. This horrific event not only shocked us all but made us all aware of how vulnerable we had all become due to poor foreign relations. For the terrorists it was a day of reckoning. 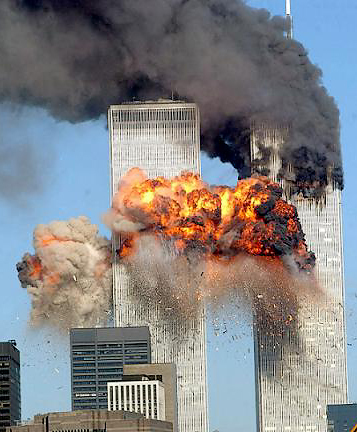 These subversive groups had developed such deep hatred that their only recourse was to undertake the actions of 9/11. In the same year we saw another dramatic reckoning: the collapse of Enron. On the lighter side we also saw the release of the first iPod! In 2002 we again saw companies paying up for past mistakes, excesses and stupid choices. The Dot.com crash saw hundreds of dreams built on vapour and fuelled by greed evaporate. Ansett Airlines collapsed and so did WorldCom. Time had caught up with these companies and their legacy was to leave a long trail of damage that affected many loyal employees and trusting investors. NASA’s safety procedures came under question early in 2003 when the Shuttle Columbia was destroyed on re-entry. Who would have thought that a small piece of insulation foam breaking off would lead to this disaster? By mid 2003 we were all fairly convinced that the next few years were going to be tough ones. The Iraq war began in 2003 because we had to get the bad guys of 9/11? Well we thought these guys were in Afghanistan but why did we head off to Iraq? Apparently they had some weapons of mass destruction and we needed to get them quick before the evil Saddam would push the button and we would all be vaporized. Of course later in the year the CIA finally admitted that there were no weapons of mass destruction and their ‘intel’ was not all that intelligent. We also learnt of a new threat: SARS. Some of us were certain that SARS and the missing weapons of mass destruction were one and the same thing. A major positive milestone was reached in 2003 when the human genome was sequenced. We also saw the launch of Skype and iTunes in 2003. Some of us were feeling quite weary with all this reckoning happening around us when in 2004 Mother Nature decided to have its say by releasing a tsunami that devastated Southeast Asia. This disaster saw over 100,000 people die in some of the poorest areas of Asia. The dawn of social networking began in 2004 when Facebook was launched. In 2005 Pope Benedict XVI was elected as the head of the Catholic Church. Whilst some felt the power of the Holy Spirit others were simply feeling hotter. In 2005 we experienced the warmest year since records began. 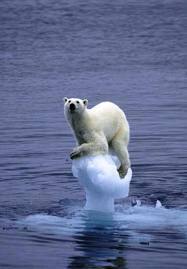 Global warming had become a real hot topic….excuse the pun. The Kyoto Protocol came into force in theory and the recruitment process began to make the Kyoto Protocol a meaningful change agent for global warming. In the same year the bad guys were back with the Bali bombings. This horrific event was a day of reckoning that simply did not need to happen. Our growing thirst to socially interact was fuelled when YouTube went online in 2005. In 2006 one of the “bad” guys, Saddam Hussein, was executed. Meanwhile, the goat herding seems to have overcome the might of the US defence forces as Osama bin Laden eluded capture and continued on his merry way somewhere in the foothills of…..With Saddam getting his day of reckoning so did Pluto. Due to its insignificant contribution to the solar system it got downgraded and was labelled as no longer a planet. This was a fairly harsh blow to Pluto. Meanwhile we were all still feeling the heat as Sydney recorded its warmest day on record at 45°C. Al Gore releases the movie “An Inconvenient Truth” and we all learn that we are all heading for a very large day of reckoning. Well some of us of course preferred to keep on playing ostrich and went out and bought a giant plasma so we could see the movie on the “big screen” when it came out on DVD. Another log was put on the fire of social networking when Twitter was launched in 2006. Storm clouds started collecting in 2007 when Microsoft Vista was launched. We should have known at that point that bad things were going to happen soon. Russia started toying with its neighbours by cutting oil supply to Poland, Germany, and Ukraine in a dispute with Belarus. Russia gets upgraded by the US as a fully-fledged super power. Civilians all over the world start complaining about rising fuel and food costs. In 2008 Oil hits US$100.00 per barrel for the first time. The Beijing Olympics happens as the storm clouds gather momentum. No goodwill sporting event was going to stop the perfect storm that came in the shape of the GFC. Markets started collapsing all over the world as credit started freezing. The day of reckoning was near for many who had helped fuel the GFC. Lehman Brothers, Washington Mutual and dozen other large companies collapsed. Thieves like Bernie Madoff got sprung. Governments stepped in as knights in shinning armour by bailing out many more on the verge of collapse. Americans finally make a life-saving decision and hire a leader that offers them change and hope for greater things. Barack Obama is elected president of the United States. Meanwhile, Bill Gates steps down as Microsoft chief (probably because of Vista!). The age of technology is confirmed as 4.1 billion people become users of mobile phones and 25% of the planet is on the internet. In 2009 collateral damage from a decade of reckoning is taking its toll as depicted by US unemployment hitting over 10% and global unemployment increases substantially as a global recession takes control. If that wasn’t enough, Swine Flue erupts on a global level and pigs get their day of reckoning as thousands are butchered in places like Egypt. Mother Nature never does anything half-hearted and in February Australia has the deadliest bushfire in history killing many and wiping out property and decimating communities. Michael Jackson does his last moon-walk and Tiger Woods is revealed to be not so perfect after all. The Copenhagen Summit on global warming identified agreement on cooperative actions to address the key issues and limit global warming to 2 degrees. As the dawn of the next decade descends on us we see glimmers of hope and an end to the fallout from a decade of reckoning. Unemployment is easing, markets are heading north, the Y generation has just been taught a valuable lesson (you reap what you sow), Obama is making positive change, Copenhagen has set a firm agenda to address global warming, we are now fighting the war in the right locations, organic food is here to stay, alternative energy is gaining momentum, money is more tightly regulated, social networking has displaced power from corporate to individual, and we have all been made aware, more than ever, that we are all part of a global community and each action, whether positive or negative, can have a dramatic affect on all of us.